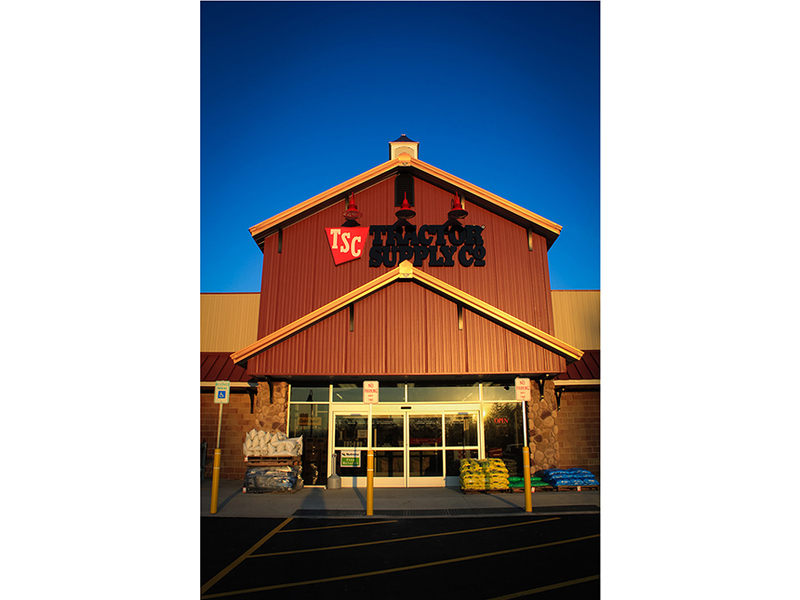 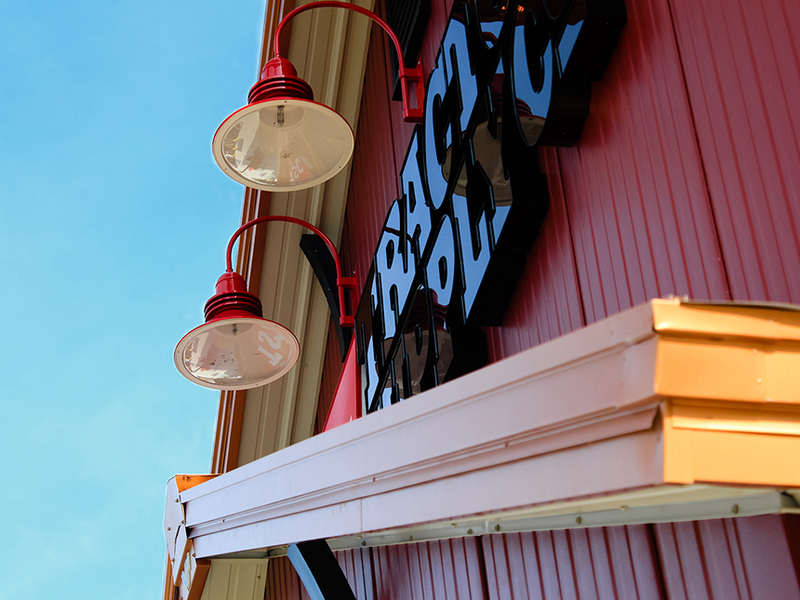 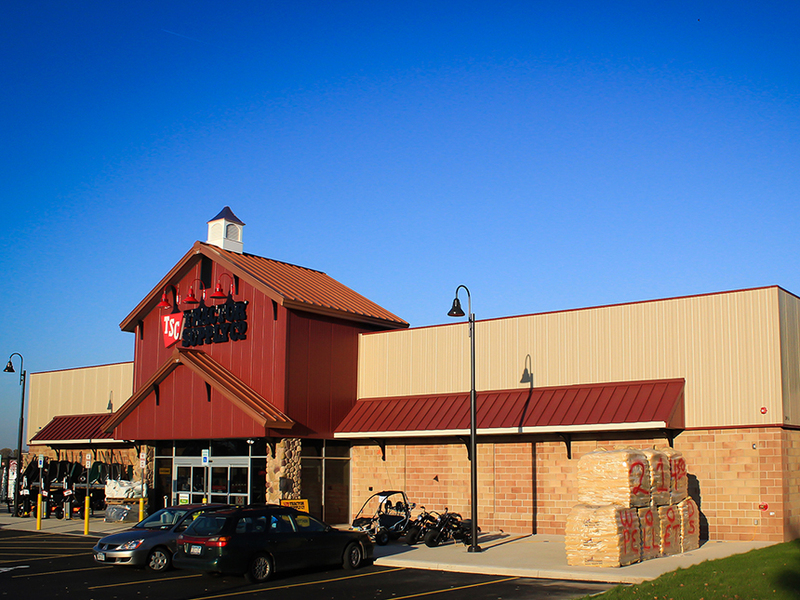 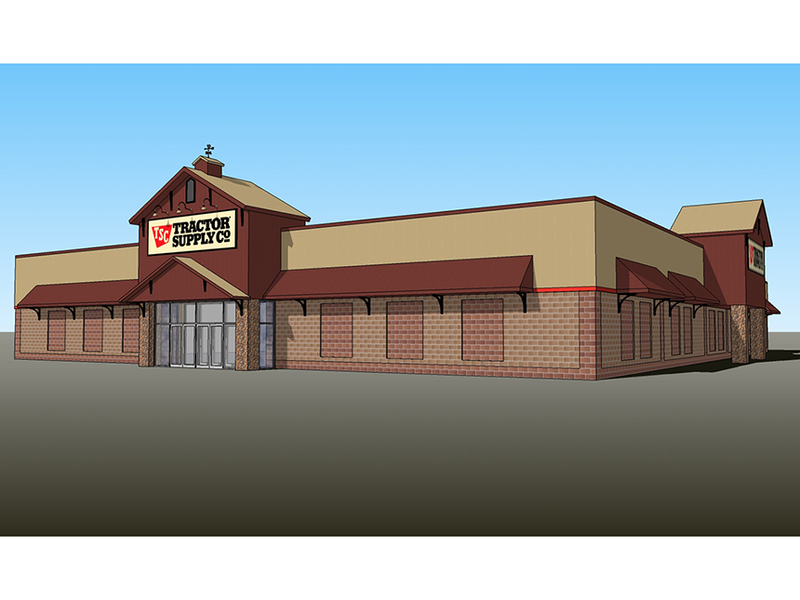 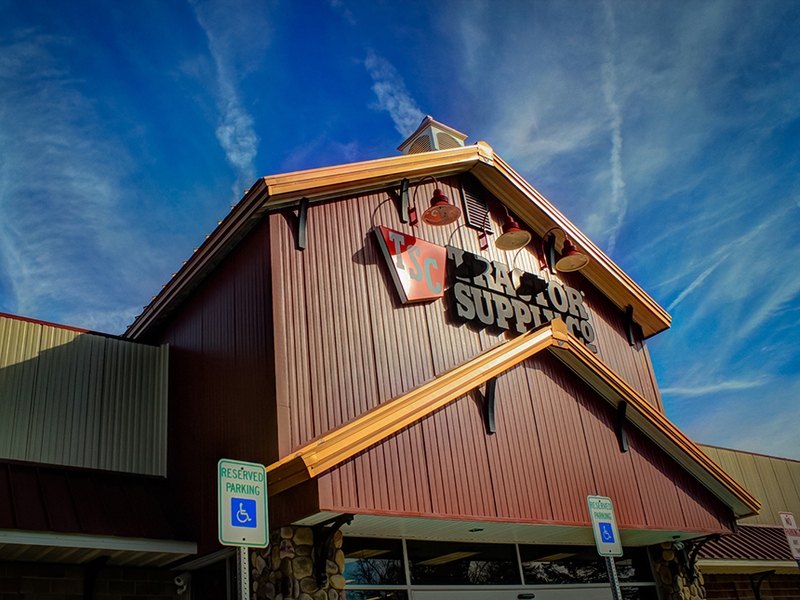 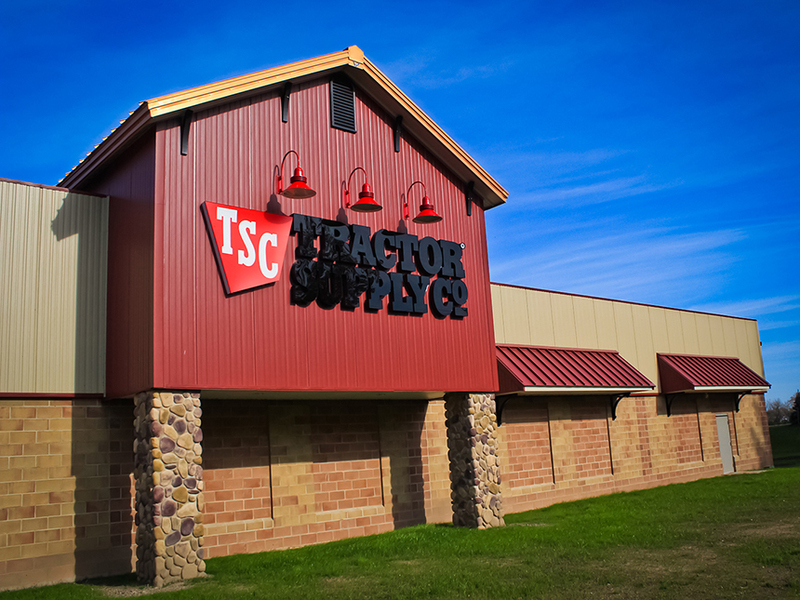 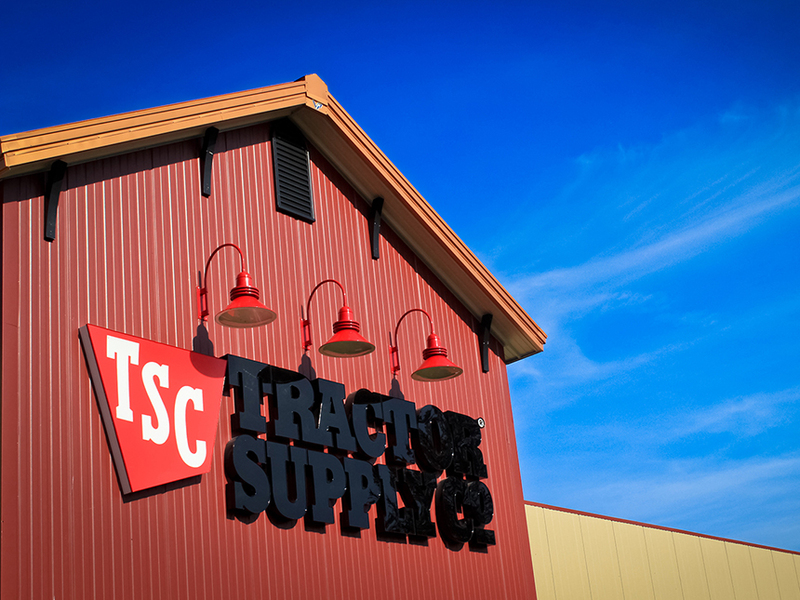 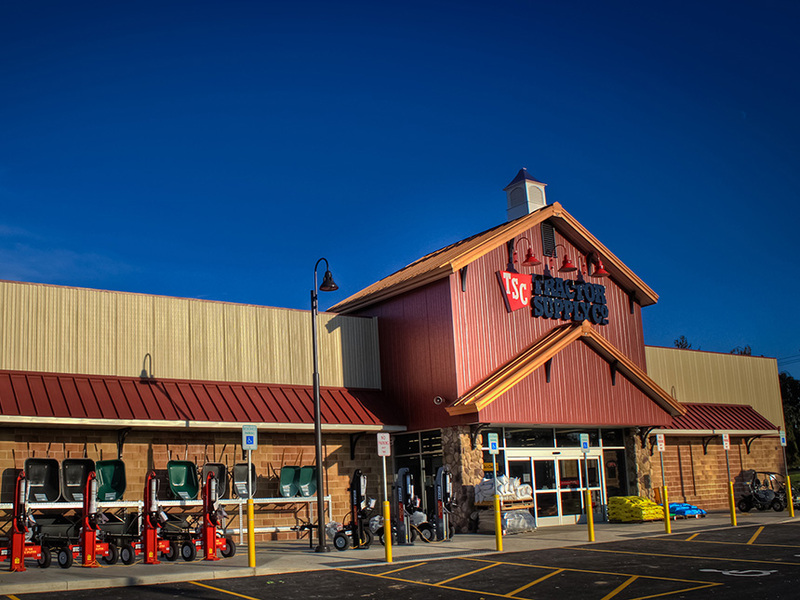 This project consisted of a new one story pre-engineered metal building with a slab-on-grade floor to be used as a Tractor Supply retail space. 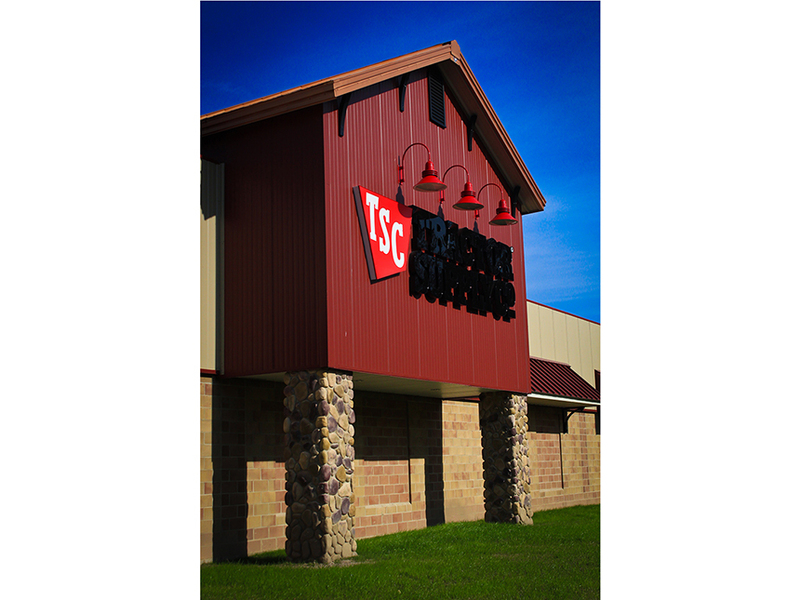 Additional features include exterior concrete slabs for an outdoor display and loading dock area, stick framed globe projections. 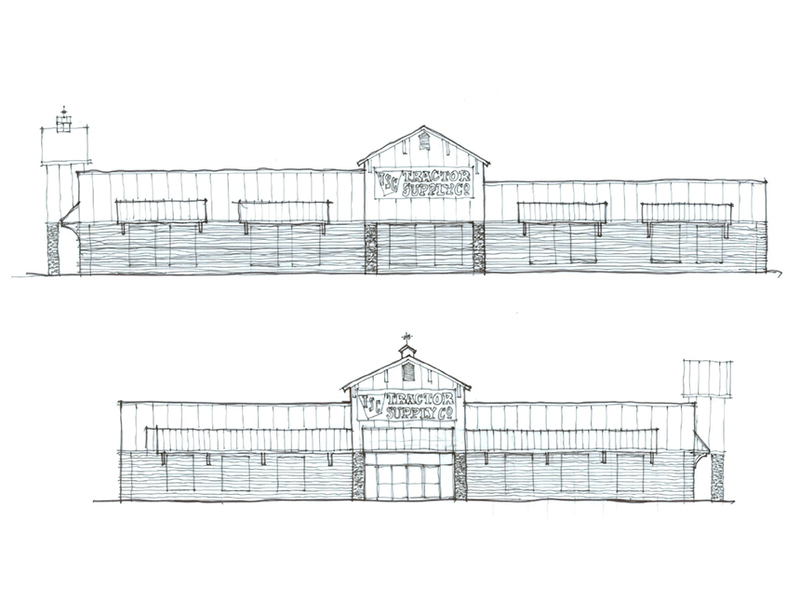 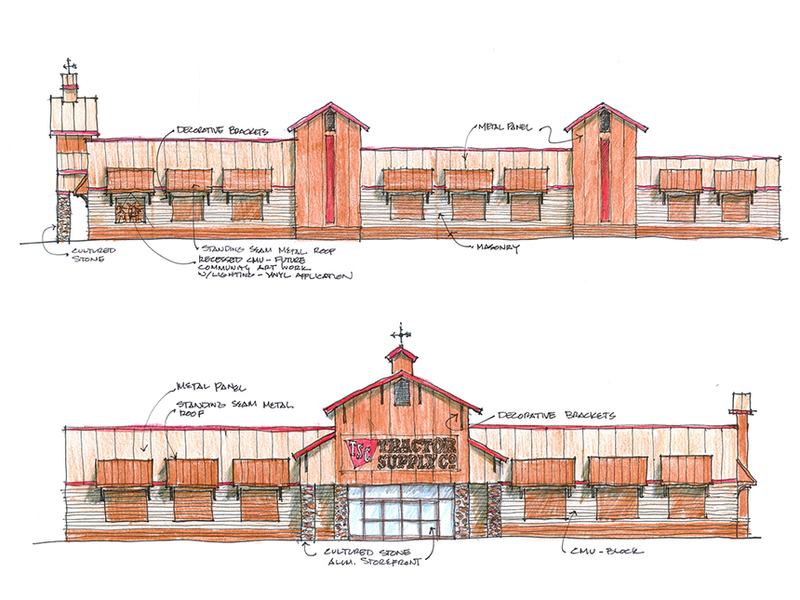 The design incorporated the town’s request for a rural looking building.